Animal Aid of Branch County, or AABC, was started in September 2007 to help curb the high number of animals being euthanized at our local Branch County Animal Control Shelter. AABC is a grass roots organization that is dedicated to the well-being of Branch County’s animal population. 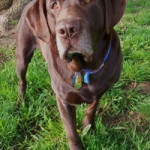 Our goal is to reduce animal homelessness and to promote owner responsibility in our corner of Michigan.